Product prices and availability are accurate as of 2019-04-01 02:52:23 EDT and are subject to change. Any price and availability information displayed on http://www.amazon.com/ at the time of purchase will apply to the purchase of this product. 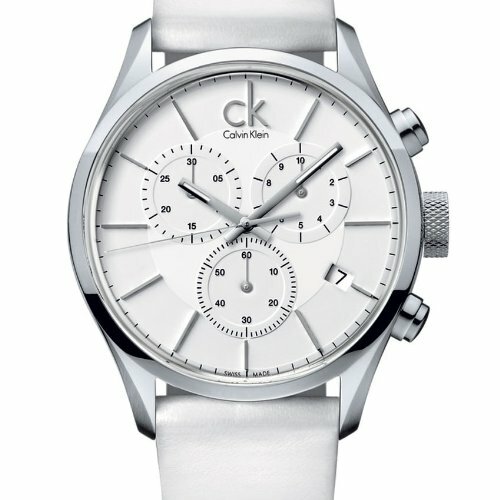 K2H27101 Features: -Material: Stainless steel case, leather strap.-Quartz movement.-Scratch resistant mineral.-Mineral crystal.-Water resistant up to 5 ATM/50 Meters/165 Feet.-Case diameter: 43mm. 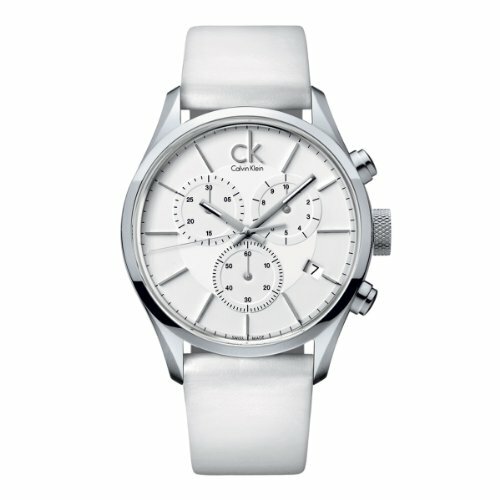 Color/Finish: -Dial color: White chronograph. Dimensions: -Band width: 22mm.-Overall: 7'' H x 5'' W, 0.5 LB. Collection: -Masculine collection. Warranty: -85 Year limited distributor warranty.